With fifteen championship courses in the Williamsburg area and a dozen hotel, resort and condo accommodation options we can help group leaders create their own custom Williamsburg Golf Vacation Package. Click here for more information or to request a quote! Williamsburg golf package promotions are listed below. Choose from Williamsburg’s most popular Golf Vacation packages or call 1-877-806-8163 and let one of our experienced local golf coordinators put together a custom williamsburg golf vacation for you and your golf group. 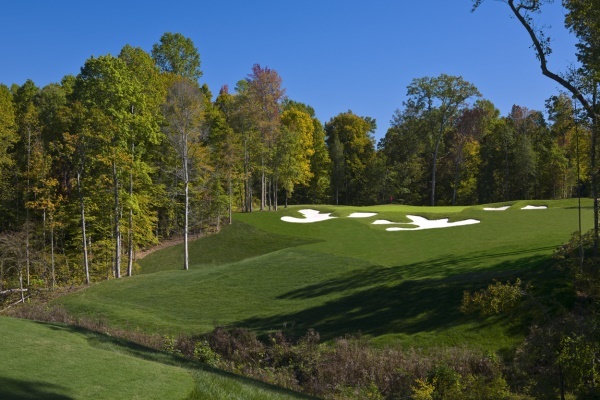 Alabama Robert Trent Jones trail golfers now have an option in Virginia to admire the work of one of golf’s most recognizable families: The late, great genius Robert Trent Jones and his equally renowned sons, Robert Trent Jones II and Rees Jones, a.k.a. “The U.S. Open Doctor”. The Robert Trent Jones designed Gold Course is routinely ranked in Golf Digest Top 100 you can play. Click here for more information or to request a quote! The Kingsmill “Big Break” Stay and Play is a special offer from Kingsmill Resort and Williamsburg Golf Vacations. This trip allows you to stay onsite at Kingsmill enjoy world class resort accommodations, play their Championship River (host site of over 30 PGA and LPGA Tour events) and Plantation courses. Plus, you can also include any of the other popular area golf courses like the Golden Horseshoe, Traditions at Royal New Kent and Colonial Heritage. Click here for more information or to request a quote! In March, July, August and November several of the Williamsburg Area Courses offer free replays. Several of the participating golf properties, Fords Colony, Golden Horseshoe and Williamsburg National have multiple courses on site so you can play different courses each round. Click here for more information or to request a quote!